Are there any books you're excited for ... art, design or others? Lovely blog you have here. Thanks for stopping by mine and for following. Looking forward to following along with you. Ooo! Great list! As much as I love scouring the internet for inspiration there is something great about holding a gorgeous book in your hands. I'll hopefully be picking up a few of these too! 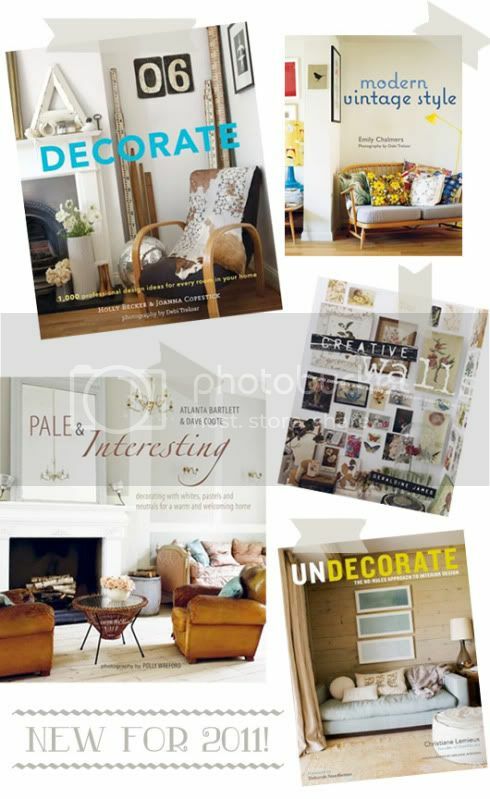 I'm loving interior design books right now -- how am I possibly supposed to resist all of that eye candy?